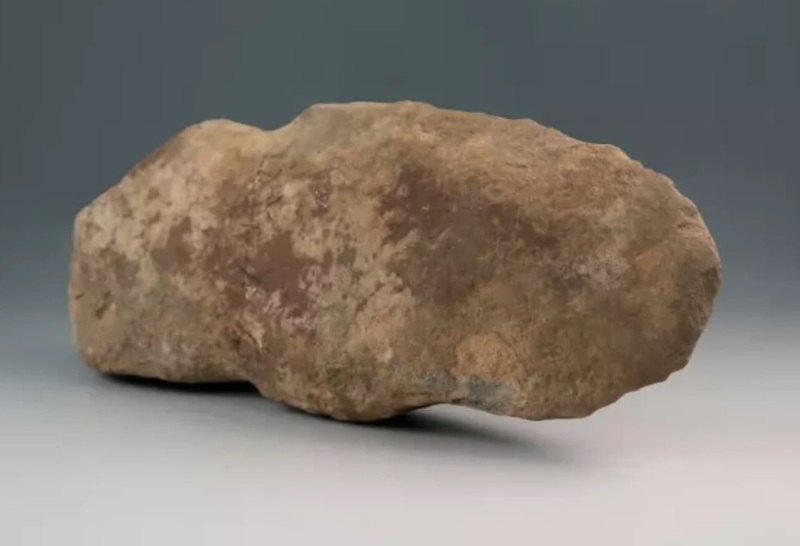 A field trip to Mount Vernon is made memorable for a group of students and teachers who found a 6,000-year-old stone axe head at George Washington’s Potomac River estate. First, the craftsperson would “chip” a river cobble with hammer stone, to make the sharp cutting edge on the face of the axe. Then, he would hammer it with a harder stone to make a smoother cutting surface. Then, he’d use a grinding stone to smooth the surface one more time. Finally, the maker would peck a groove along the back end of the axe head, to which he’d attach a wooden handle. Archaeologists believe the spot where the axe head was found wasn’t necessarily an Indian village; more likely, it was a stopover for communities traveling along the river and using its resources. More recently, the same site was also Mount Vernon’s African American cemetery, where oral history says slaves and possibly some of their freed descendants were laid to rest.